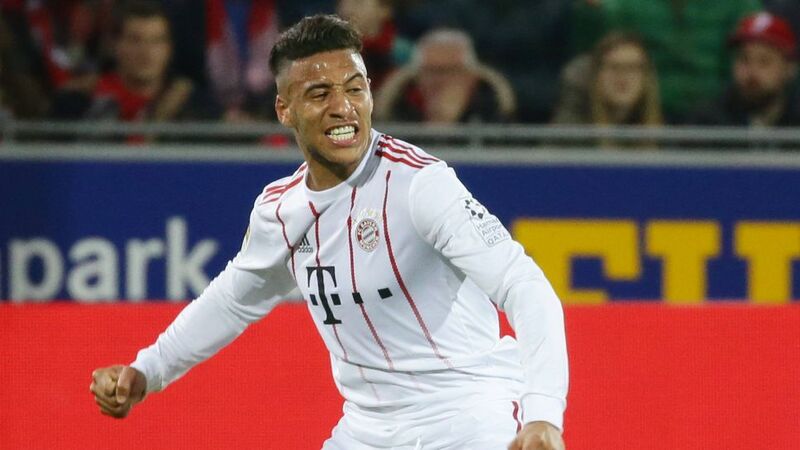 His jaw-dropping goal against Freiburg has been admired throughout the world since it first struck the back of the net on Sunday, and Bayern Munich midfielder Corentin Tolisso has said his formidable effort was the product of extra shifts on the training ground. "I practicse these type of shots after training with our assistant coach Peter Hermann," Tolisso told German publication kicker after the Bavarians' 4-0 win against Christian Streich's side at the Schwarzwald-Stadion. "The extra work paid off [against Freiburg] and I'm delighted because of that," the France favourite added. With the defending Bundesliga champions already a goal to the good after Alexander Schwolow directed into his own net, Tolisso latched on to possession in the 28th minute. Enjoying the freedom to roam before taking aim, the 23-year-old struck hard and true and looked on in delight as the ball flew past the despairing Freiburg 'keeper before rattling the net. "I was in space and realised that nobody was arriving to challenge me, so I decided to take a chance," Tolisso explained. "It was great to see it go in. "I'm thrilled that I was able to contribute and help the team go 2-0 ahead." After taking his tally to three goals and three assists across 20 Bundesliga games - and seven and five in all competitions - Tolisso praised Bayern's response in a game that could have ended somewhat differently had Freiburg's Lucas Höler not met with stubborn resistance from Sven Ulreich early on. "It was a good game, although a little tricky at the beginning as they had a very good chance to score," Tolisso commented. "Then we managed to strike twice which did us a lot of good as it allowed us to create more chances. After the break we added a third [through Sandro Wagner] and shortly before the end we got a fourth. All in all, it was a good win. Watch: Tolisso - "It's my best goal." Now 20 points clear at the top of the standings and on course for an unprecedented sixth Bundesliga title in a row, Bayern are buzzing as they chase down a domestic and European treble. For Tolisso, responding to the Matchday 24 blip at home against Hertha Berlin with a weekend victory was the perfect way to get back on course in terms of season aims. "We gave the right response to the last match: that 0-0 against Berlin," he insisted. "Because of that draw, we really wanted to win this latest one. We just need three wins to be crowned champions now and that's the big goal." After Tolisso's big goal on Sunday, an air of added anticipation will now arise each time the French international gets in range of the opposition target.